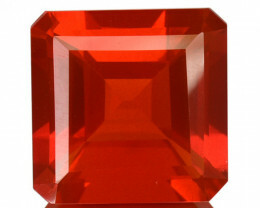 Naturally mined Ruby which is Clarity Enhanced by Fissure Filling and Heating which is an acceptable process these days. Ruby is red corundum, all other color varieties of corundum being referred to as sapphire. 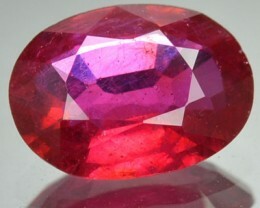 The ruby color range includes pinkish, purplish, orangey, and brownish red depending on the chromium and iron content of the stone. 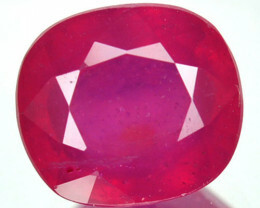 All corundum gems including ruby have a long history of enhancement. Unless the seller specifically states the stone is unheated, you should assume that some kind of heat treatment has been used. 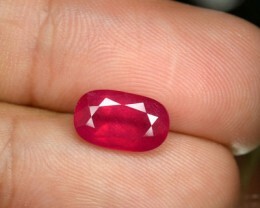 Ruby is hard (9 on Moh's Scale) and tough, making it a superb jewelry stone. 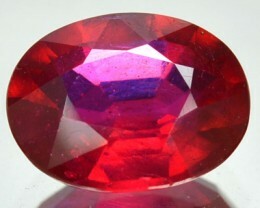 The overall color can often, but not always, give a clue to a stone's geographic origin, with Burmese stones tending to purplish red colors and Thai stones appearing more brownish red. 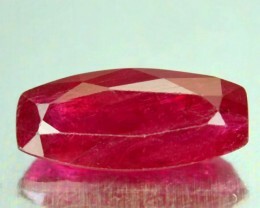 Burmese rubies often fluoresce so strongly that the effect is noticeable even in sunlight, such stones seem literally to glow, and are greatly admired. Thai stones generally lack this property. 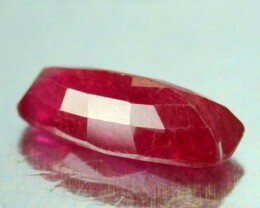 Although Asia has historically been the major producer of ruby gems, there are many other sources including the USA, Australia, and most recently Africa. 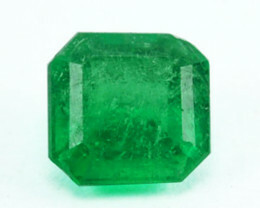 Improving the quality of gemstones by treating them is common practice. Some treatments are used in almost all cases and are therefore considered "acceptable". Improvements used include color alteration, improving transparency by dissolving rutile inclusions, healing of fractures (cracks) or even completely filling them. 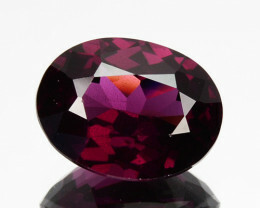 The most common treatment is using heat, most if not all rubies at the lower end of the market are heat treated on the rough stones to improve color, remove purple tingle, blue patches and silk. 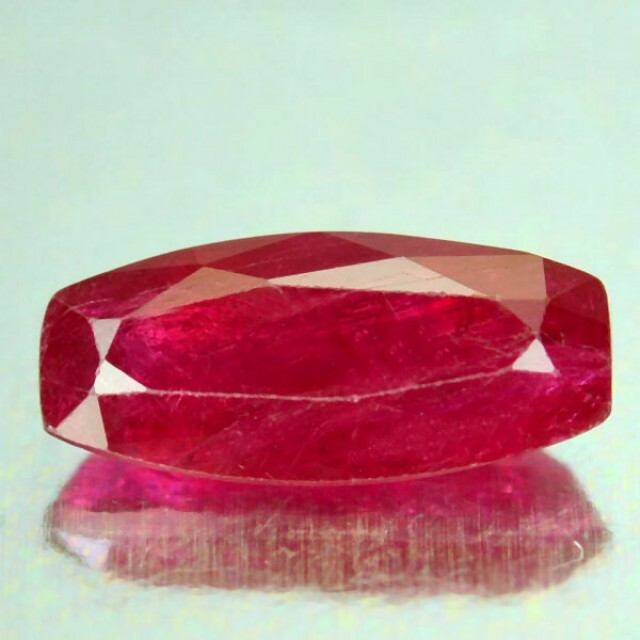 A less acceptable treatment, and one which has gained notoriety in recent years is "Lead Glass Filling" of Rubies. 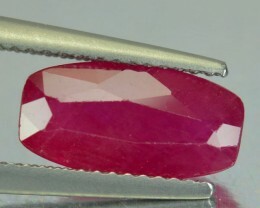 By filling the fractures inside the ruby with lead glass the transparency of the stone is dramatically improved making previously unsuited rubies now fit for applications in jewelry. 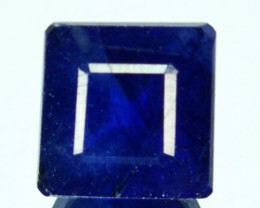 5.50$ for Registered Post - Trackable (delivery 3 weeks). 25$ for DHL Express - Trackable (delivery 3 days). Payments for 5 or more items in one order will be FREE UPGRADE to DHL Express Shipping (few countries exempted). Hassle Free Returns - 14 days Inspection Period upon Receipt - Return Postage to be paid by the Buyer.